This is the most comprehensive overview of the three Gabor sisters, their background, their never-before-publicized scandals, and their romantic and/or mercenary interactions with other A-list celebrities. This is the most comprehensive overview of the three Gabor sisters, their background, their never-before-publicized scandals, and their romantic and/or mercenary interactions with other A-list celebrities. Zsa Zsa, Eva, and Magda Gabor transferred their glittery dreams and gold-digging ambitions from the twilight of the Austro-Hungarian Empire to Hollywood. 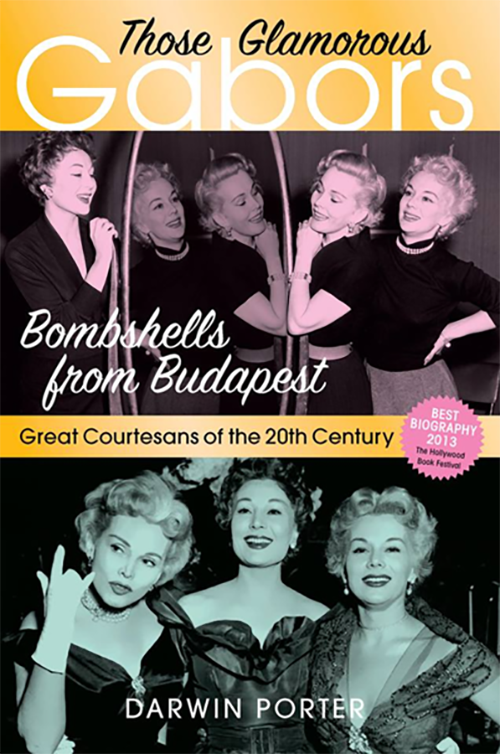 There, more effectively than any army, these Bombshells from Budapest broke hearts, amassed fortunes, lovers, and A-list husbands, and amused millions of voyeurs through the medium of television, movies, and the social registers. This book by America's most knowledgeable celebrity-watcher demonstrates that wit, charm, ruthlessness, and beauty can indeed go a long way toward the realization of the American Dream. Zsa Zsa is going to Florida!